This short book by the author of Doctor Zhivago is more of a prose-poem than a novel. It’s about a man who is on leave from the military who goes to visit his sister, and after his arrival he drifts into a tired half-sleep where he travels back to scattered thoughts of last summer, before the outbreak of the first World War. This was an odd read because I’m sure it’s a better read in the original language. It just has to be, because frankly what’s there now comes across as just a pretentious mess. But it’s hard to know how much can be faulted on the translation. What is there in english just seems very scattered and self-absorbed. At the very least the translator could have tried to inject some rhythm into the prose, which comes off as very clunky. 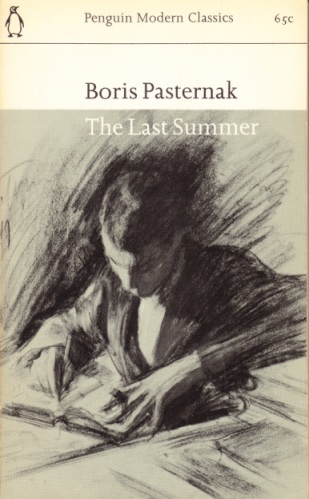 I do like the cover art though, it’s a drawing of the author by his father, Leonid Pasternak.